Utah's unprecedented quality of life and world-renowned outdoor recreation are a huge part of what makes Utah Utah. Unfortunately, climate change and poor air quality are forever altering the Utah we know and love. Fortunately, we have a historic opportunity to help improve air quality and combat climate change through the Environmental Protection Agency's proposed Clean Power Plan, which aims to reduce pollution from our country's electricity sector. The plan is critical to protecting Utah's outdoor industries, particularly the ski industry, which is under threat by the impacts of climate change. Regardless of whether you are an outdoor enthusiast or not, you want this industry to thrive. 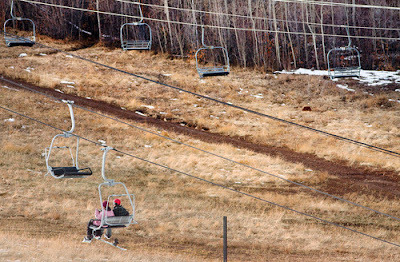 Utah's ski industry alone provides 20,000 jobs and contributes $1.29 billion to Utah's economy. The Outdoor Industry Association reports that Utah's outdoor recreation brings $12 billion in consumer spending, $3.6 billion in wages and salaries and almost $900 million in direct state and local taxes. Despite being a major economic driver, the outdoor industry is competing for influence on Capitol Hill against powerful lobbying groups motivated to shut down the Clean Power Plan. As representatives of Utah's outdoor industry, we view the Clean Power Plan as not only vital to our business future, but a doable, workable opportunity that will benefit Utah citizens and businesses. The reality is that the outdoor industry, particularly the ski industry, is feeling the impacts of climate change now and Utah needs the Clean Power Plan to help protect a primary contributor to our economy. To Black Diamond Inc., which provides world-class gear to skiers and outdoor enthusiasts, the Clean Power Plan is a small step in the right direction. In fact, our industry has a business imperative to advocate for it. It is not idealism or political motivation to see this. It is mathematics and economics that illustrates Utah and Black Diamond will be in much more serious pain without the healthy, multi-billion dollar ski, outdoor and active outdoor related tourism industries in our state. At Alta Ski Area, we're a founding member of the National Ski Areas Association Climate Challenge, a group of 30 ski areas committed to reducing emissions. Winter resorts like ours have had to up our accountability in the climate change arena to protect our business. But doing this doesn't break the bank or cost jobs. We have implemented common sense actions for increasing energy efficiency to cut emissions. These measures have been good for business — in fact, we see a financial return on every investment we make in energy efficiency. While we may have different ideas about the best ways to power our future, there's no question that we can use energy more efficiently. Energy efficiency is a central part of the Clean Power Plan, and is so readily available it is almost comical. Just ask Rocky Mountain Power. Its parent company, Pacifi Corp, has released its 2015 energy efficiency potential study, which identifies how much energy we can save over the next 20 years. The study clearly shows that energy efficiency is an affordable and reliable strategy to help achieve the pollution reduction targets under the Clean Power Plan. And considering that the residential and business sectors together account for about 40 percent of U.S. energy use, it makes sense to focus on how our homes, work places and industry can cut energy waste, save money and reduce pollution. The Clean Power Plan is achievable, affordable and necessary. Let's embrace this opportunity and safeguard our state's outdoor culture. Onno Wieringa has been president and general manager of Alta Ski area since 1988. Peter Metcalf is CEO and President of Black Diamond Inc.